Hay’s simple Brackets Included combines seamlessly the basic parts of a shelf. 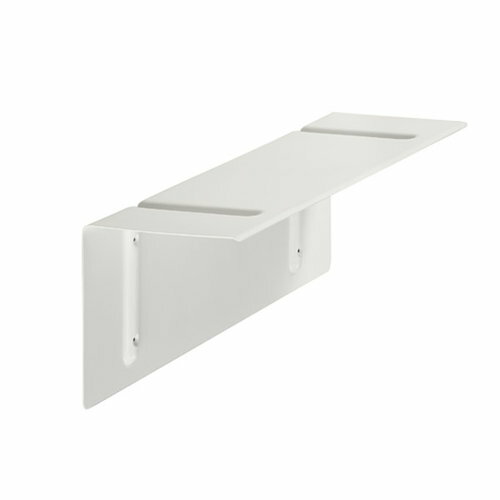 The shelf, made of a single pressed sheet of steel, celebrates the brackets often left in the shade. Brackets Included shelves display your favourite accessories and create intriguing graphic elements on any wall. The Belgian designer Sylvain Willenz (b.1978) studied at the Royal College of Art in London and graduated in 2003. Since 20004 he has had his own studio in Brussels. Willenz and his team do various projects from lightning to products and IT electronics to furniture. The studio is characterized by a simple and relevant approach, aiming to offer innovative and strong solutions.